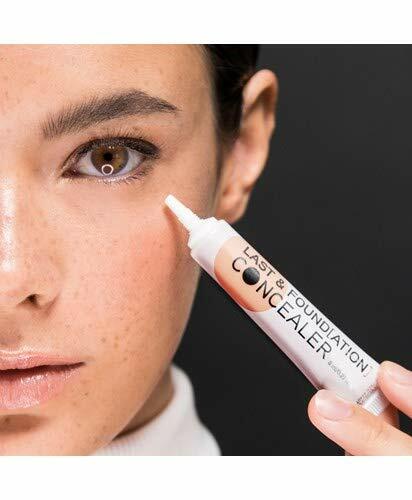 Cover a multitude of ‘skin sins’ with LAST & FOUNDATION CONCEALER! Our long-wearing, high-coverage formula hides dark circles & imperfections all day and remains comfortable & crease-free on the skin. Use with our LAST & FOUNDATION 24+ Hour Flawless Coverage Foundation to ensure ultimate skin perfection and a beautiful canvas for your makeup look. 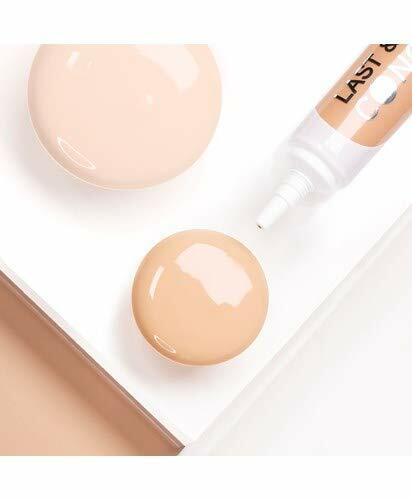 How to Use: Squeeze a pea-size amount of LAST & FOUNDATION CONCEALER onto finger, WUNDERBLEND sponge or directly to the target area. Blend evenly into the skin. For best results, use a damp WUNDERBLEND sponge. Can be used on any blemishes, imperfections, discoloration and underneath the eye area.Provides high coverage that is water-resistant, transfer-resistant and smudge-proof all day. Remains Flexible and comfortable on the skin, meaning it ‘moves’ with the skin rather than ‘masking’ it. It grips other makeup products applied on top of it – making them long-wearing too. Vegan & Cruelty free make up. Made in use.